Mar. 3 Whittney Evans (KCPW News) A bill that imposes a one-year moratorium on new historic districts is only one vote away from being sent to the governor’s desk. SB 243 has jammed a wedge between residents of Salt Lake City’s Yalecrest neighborhood. Democratic Representative Larry Wiley told a House Committee this morning that there’s no leadership from the city on this issue, and a moratorium would be a step in the right direction. Republican Representative Jack Draxler said he’s torn over the idea of a moratorium, but he voted against the bill on the grounds that the state is exerting too much power. The bill failed to pass out of committee earlier this week, but was approved on a 9-to-2 vote this morning when it was reconsidered. 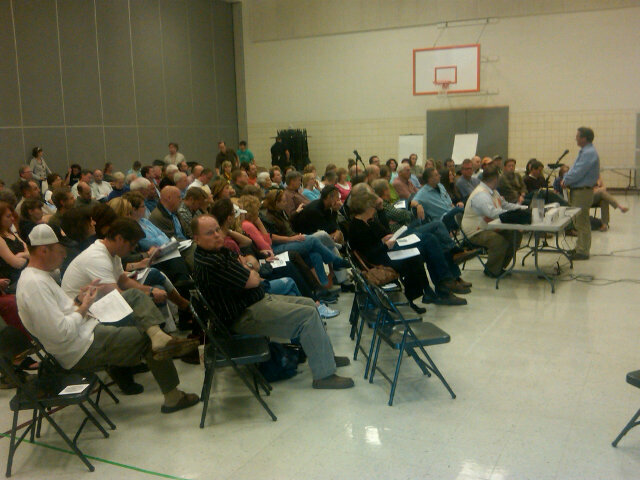 It’s been amended so that the moratorium is targeted directly at the Yalecrest neighborhood. Now the bill goes to the House floor. THUMB DOWN: Hold on, there • The Utah Legislature is for local government, the level of government closest to the people, except when it’s not. Witness SB243, Sen. Wayne Niederhauser’s bill that would slap a one-year moratorium on the creation of historic districts by cities. The bill by the Sandy Republican is aimed at Salt Lake City, which has been wrestling for months with whether and how to create a historic district in the Yalecrest neighborhood. The issue has pitted neighbor against neighbor in a bitter dispute. The two sides seem to be roughly equal in numbers, and the City Council has been paralyzed. It is doubtful, though, that a yearlong moratorium imposed by the Legislature, most of whose members couldn’t find Yalecrest on a bet, is going to help the city craft a solution to the debate caused by property owners who tear down old homes to build minimansions. Feb. 16 Examiner.com What is the big deal about Historic Neighborhood designation?